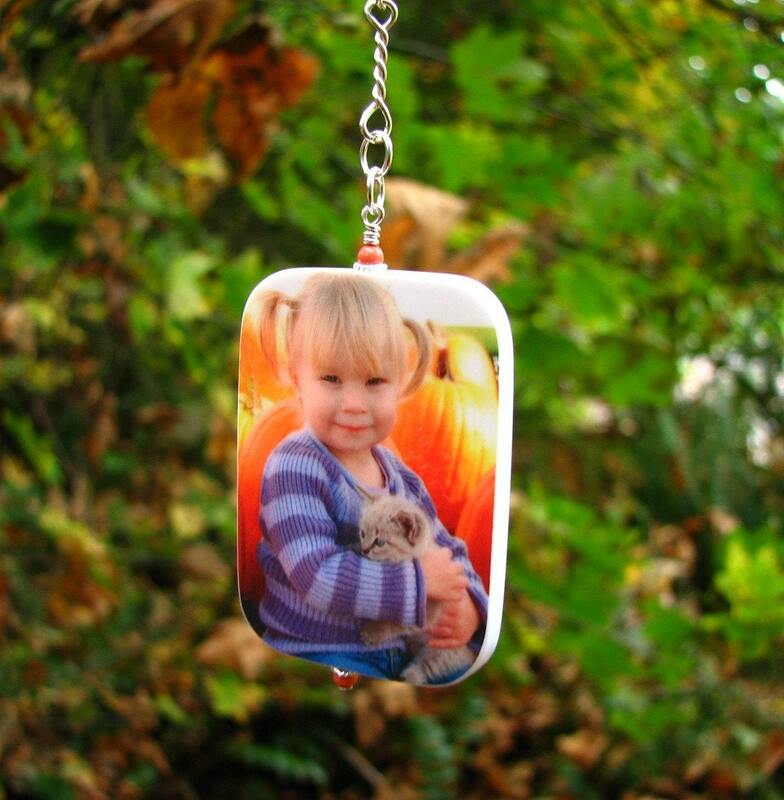 This is a two-sided photo ornament that measures up to 2" X 2" and hangs from a 3" section of sterling silver chain. 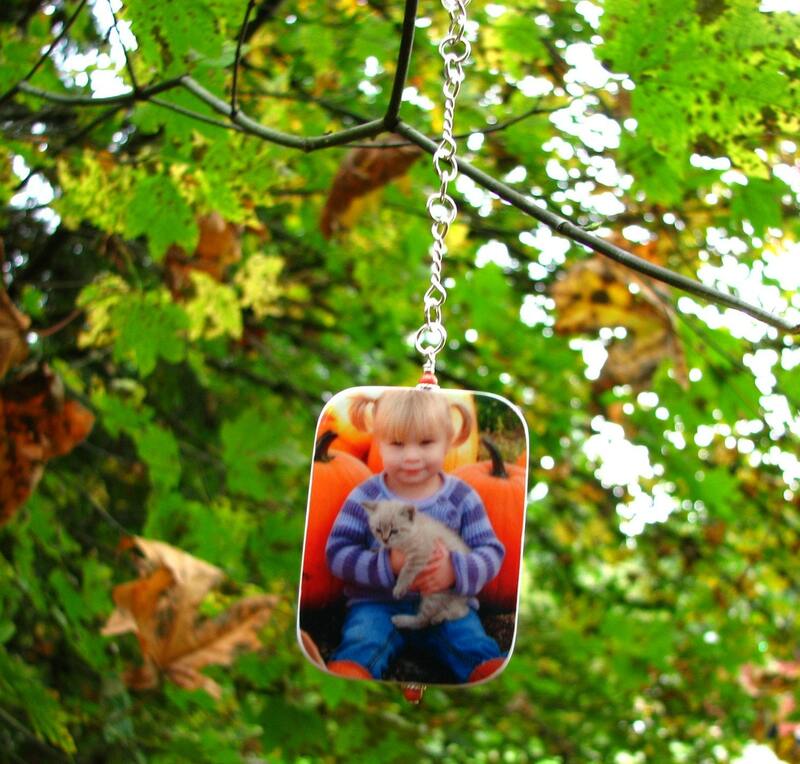 Add a hook, or a ribbon, and hang it from your tree this Holiday. 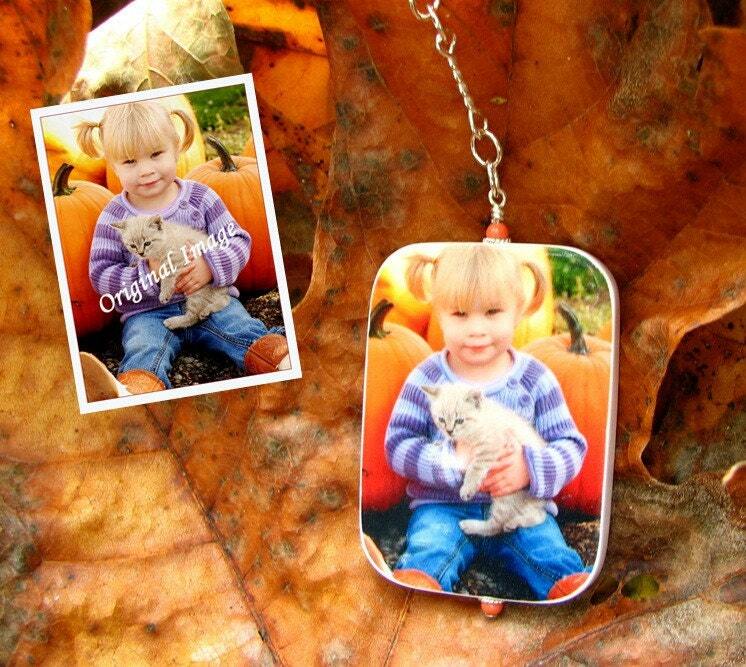 Give it as a stocking stuffer, or attach it to your gift as a personalized touch all year long. 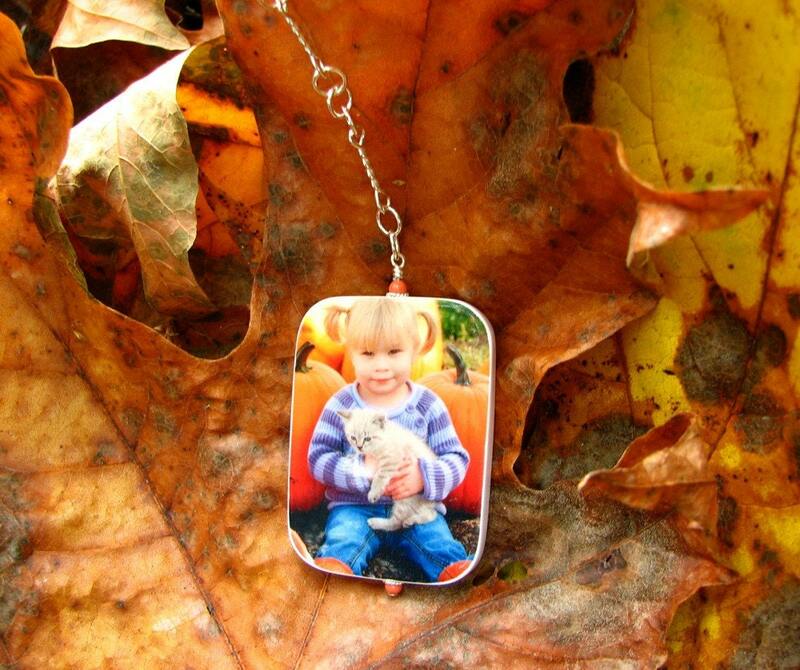 You can have two photos, or request a custom text image for the other side. If you have a photograph of a hand written message, note, or card - send it along with your photograph. I love to work with actual handwriting and it makes your gift even more sentimental. 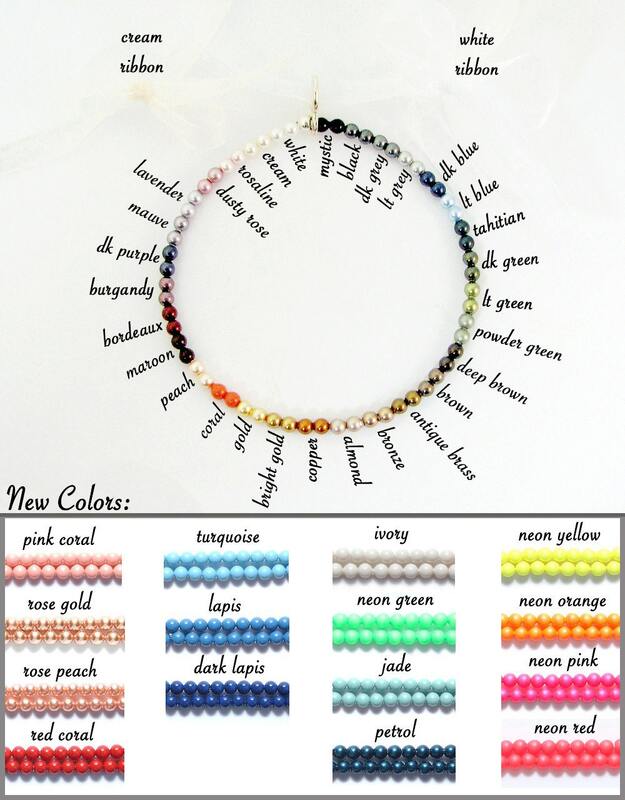 Choose your favorite color of Swarovski crystal pearls from the chart to complete your ornament.